Reaching new heights in consumer education and information in the Real Estate Appraiser World. In my previous blog posts titled “Round and Round” and “Pressure My Story”, I spoke to examples of how lenders and/or AMCs have been pushing and pressuring appraisers to hit certain values on transactions. If an appraiser did not hit these numbers, or make changes to make the transaction work in the lender’s favor, the appraiser would be threatened with non-payment, removal from appraiser panels, and/or blacklisted. If you haven’t read those blog posts, feel free to go back and have a look. This post, however, is about another issue that has recently come to light. I don’t know about you, but in my opinion, this violates Dodd Frank, Appraiser Independence. It clearly shows that issues of the past are still being presented today, just in a different way. It’s not necessarily the lenders that are directly trying to influence values (although many still act as described in previous blog posts), but they are instructing the homeowners to exert influence, and as this person said, “PUSH” the appraiser for a certain value because the lender is prohibited from doing so. The very person the consumer is trusting to do what’s right on their loan, is now instructing the prospective borrower to “SELL YOUR HOME to the appraiser” to achieve the magic number that will close the loan. Forget ethics, forget trying to do what’s right, and forget the risky position foisted on the consumer by the loan officer. Have we as members of the national economy not learned anything from ten years ago? Since the crash, laws have been put into place to protect Appraiser Independence and YOU as the consumer. The Dodd Frank law specifically spells out what must not happen among lenders, AMCs and appraisers. It shall be unlawful, in extending credit or in providing any services for a consumer credit transaction secured by the principal dwelling of the consumer, to engage in any act or practice that violates appraisal independence as described in or pursuant to regulations prescribed under this section. Now that you have read the above excerpt from Dodd Frank, notice that in #1 the word INSTRUCT shows up twice. The example provided here appears to be a clear violation, by the loan officer, of the law as it’s written. Now read #3 again. Yet another clear violation of the law as it’s written. This is a perfect example of the collusion that still goes on today, besides other indirect ways that lenders influence value and violate appraiser independence. Consumers already face many challenges when obtaining a loan. They shouldn’t have to face another with loan officers’ unethical and illegal practices. Influencing a value just to make a loan is not protecting you the consumer. The consumer shouldn’t be directed to influence the appraiser in order to get a professional opinion of the value of their home. The loan officer shouldn’t have to instruct the consumer to influence the value because he “can’t talk to the appraiser.” If the value is there to make the loan, then great. If it is not, the lender should move on to the next loan and the consumer should move on to their own next step. The only unbiased part of the process is the Appraiser and it should remain that way. The Appraiser should not be influenced in any way at all in order to give you the consumer the best professional opinion of your home as possible. 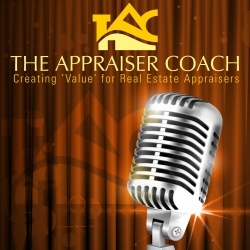 The Appraiser has no interest in the transaction, is the expert when it comes to the valuation process and is bound by USPAP (Uniform Standards of Professional Appraisal Practice) as well as state and federal laws. Consumers should remember this and remember that Appraisers are not trying to screw you out of a loan or make things difficult for you. Appraisers are there to protect the public trust, you the consumer and provide the lender with an accurate opinion of market value. I suggest to any consumer reading this to remember that your home is most likely your biggest asset and that obtaining a loan based off an overvalued valuation set forth by influencing the professional appraiser may come back to bite you in the end. All because you were instructed to do so by the loan officer or others wanting to make your loan close and pad their pockets. Do you really want that issue later on? Appraisers Outraged! End The Appraiser Payment Issue! ” I am owed $20,000.00″. “I am owed $2000.00”. “I am owed $500.00”. “I am owed $1500.00”. These are just some of the quotes pulled from various groups, message boards and forums from appraisers all over the country that are owed money for the appraisal services they provided. Services they provided for a Lender, Mortgage Company or Bank through an Appraisal Management Company or AMC as they are known. What’s an Appraisal Management Company you ask? Well for those that do not know, AMCS have been around a long time. Appraisal management companies (AMC) are business entities that administer networks of independent appraisers to fulfill real estate appraisal assignments as Agents of the lenders. However it wasn’t until the financial crash of 2008 that they became a permanent fixture in the Real Estate Process due to the HVCC (Home Valuation Code of Conduct now known as DODD FRANK). They were installed as the “Middle Man” between appraisers and lenders to help insure Appraiser independence and manage the appraisal ordering process. Overnight many of these Amcs were formed and began entering into contracts with the lenders to perform the duties of managing the appraisal process as Agents of the Lenders. Notice how Agents is in Bold? I’ll explain shortly. So now that we have that out of the way lets get into the real issue here. Appraisers are being left unpaid by Appraisal Management Companies and it’s an outrageous, painful and terrible result of poor legislation and regulation. I will compare this to the recent Government shutdown. The outrage of federal workers not getting paid. The outrage of them not being able to pay bills. The outrage of how could this happen. It’s nice to see all the outrage over this but where is the outrage over appraisers being owed money and not being able to pay bills? Exactly. There is none because no one knows about it. Let me give you some insight and maybe you too will have some outrage. First lets go back in time. 2011 an AMC named Appraisal loft closed its doors unannounced owing appraisers Millions. The scramble began by appraisers to get their monies owed. Some appraisers were successful but most were not. In this case Lenders were collecting the fees from the borrower and passing them along to Appraisal Loft to pay the appraiser. But over time that didn’t happen and the doors closed leaving appraisers not paid for their time and services. 2012 an AMC named JVI Solutions closed its doors owing appraisers Thousands of Dollars. Once again appraisers scrambled to get their monies owed however only some were able to do so. In this case as well Lenders were collecting the fees from the borrower and passing them along to Appraisal Loft to pay the appraiser. Some appraisers sued the lenders that used JVI and one in particular won his case (no update on if he actually received the monies owed). However others were left without payments ever being made. 2013 an AMC named Evaluation Solutions filed bankruptcy thus leaving appraisers without payments. JP Morgan Chase was the largest client of Evaluation solutions and through a courts decision in Florida the Amc and Bank were absolved of all payments and liabilities to appraisers. Once again borrowers paid for appraisals to the Lender and the AMC failed to make those payments to appraisers. 2018. An AMC named CoesterVMS goes silent and leaves appraisers unpaid. Per numerous articles, web searches & message boards appraisers are owed thousands of dollars and hoping to get paid. According to other various articles, blogs and web searches, Coester VMS stopped responding to appraisers, was paying them late, owed payments from over 6 months and more and now is apparently out of business. Once again appraisers are scrambling to get paid. Many have called the lenders that used CoesterVMS and some lenders have paid up however most have not. Many Lenders as in the other examples state they already paid the AMC for services and are not responsible for any further payments. There are a couple other AMCs that have ceased business between 2011 to now as well. Some have tried to settle with pennies on the dollar and some have just disappeared. Hell there are some that just rename themselves and continue to not pay appraisers. Now let me explain this. Most states have AMC laws and regulate them. Many require an AMC to carry a Surety Bond in order to do business in that state. Some don’t. So referring back, one AMC had a surety bond in NC that was for $25,000. When it was announced that the AMC had canceled the surety bond, appraisers flocked to file against that bond for payments. Within a day or so the bond was exceeded. Yes $25,000.00 was exceeded in 1 state. Imagine the filings in other states since the company operated in all 50 states plus Puerto Rico. So a question comes to mind. If these AMCs are doing this much business and handling this much money then why are they only required to carry a $25,000.00 Bond? A million seems more reasonable. This brings me back to the beginning and the word Agent. As an independent appraiser I work for myself. I am considered an independent contractor. According to the laws and regulations an AMC works as an Agent of the lender. If they are acting as an Agent (they have a signed agreement), how come the Lender is not ultimately responsible for making sure the appraiser that their Agent obtained is paid properly and on time? Think about this for a minute. The borrower paid the Lender and the lender passed that payment to the AMC to pay the appraiser however no payment was made. Who would you hold accountable? If the lender takes payment from the borrower and then passes it along to the AMC for the appraisal then shouldn’t the lender who hired this Agent make sure they are doing things correctly? I would think so. I’d like to know if my agents were doing things correctly representing me. The laws need to be redone to make all parties (Lenders/AMCs)responsible for paying the appraiser and in the event the AMC goes under the Lender takes full responsibility. As discussed earlier, A Larger Surety Bond of at least $1,000,000.00 should be required. Lenders pay the Appraiser their fee for the report and pay the AMC they hire a separate fee. Separate checks or transactions. Escrow Accounts. Money is collected by the lender and put into an escrow account OR if the AMCs do collect money they take their fee and put the rest in escrow. Do not let AMCs handle the appraisal fees. They should have nothing to do with collecting or paying appraisal fees. Go back to the days when the actual borrower paid the appraiser at the door for the appraisal service. With technology today the appraiser can be paid quickly via many different payment options without having a 3rd party commingle in the process. Enough is Enough. It’s time to change the way appraisers are paid for their services. With all the talk of technology and changing the way appraisals are performed one would think with said technology appraisers can be paid properly. It’s time make changes and that time is NOW! **** all info regarding AMCs was researched via web searches, blogs, and other public articles*****.